You guys, my kids are obSESSED with Legos. Like, it’s insane. I knew boys love Legos but the obsession is a whole new level. They can’t get enough building. They come by it honestly, I suppose. I often catch their Dad in the playroom with them just as into it as they are. Maybe more. 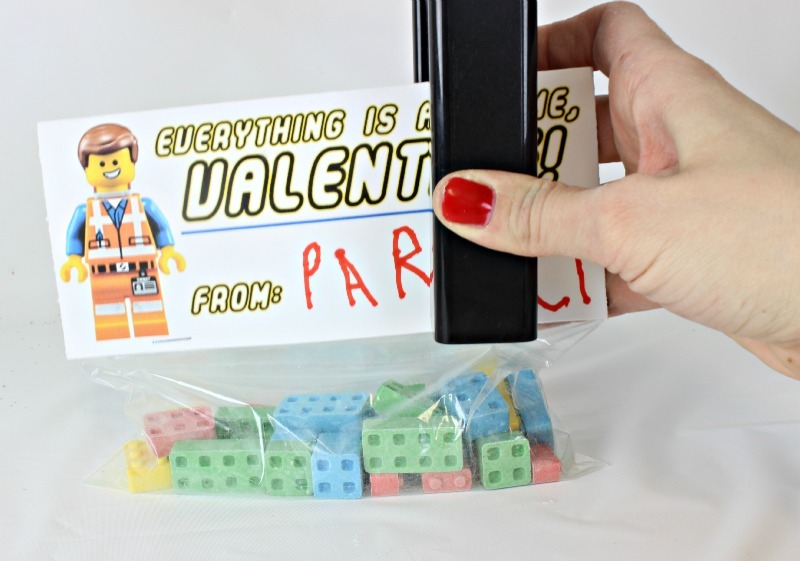 It was a no-brainer when I thought of what we should do for my kids’ school Valentine’s Day gifts this year. 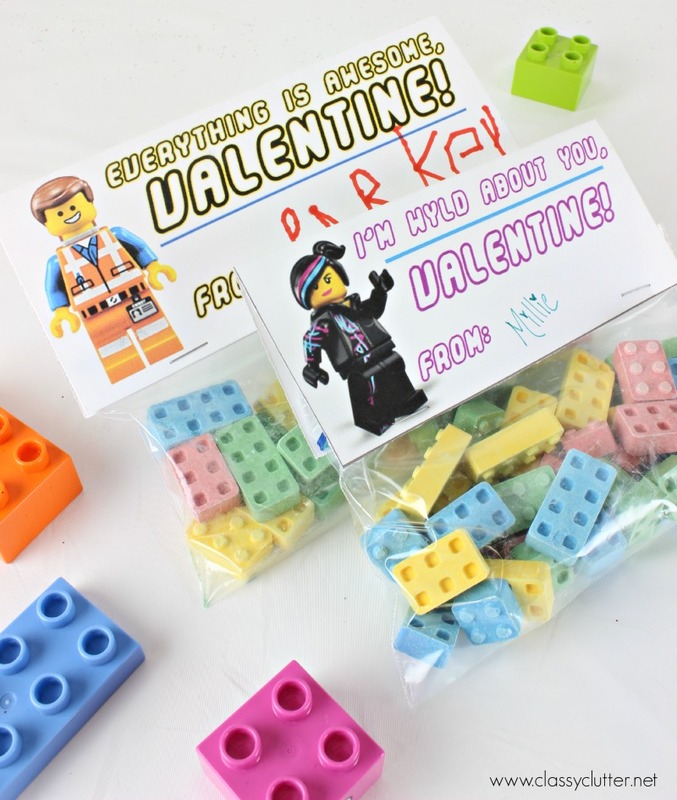 These Lego Valentines were a huge hit at our house and super easy to make. Snack size (not sandwich size!) bags. Available here. * They’re about 6.5″ wide and 3.5 ” tall. You want those. 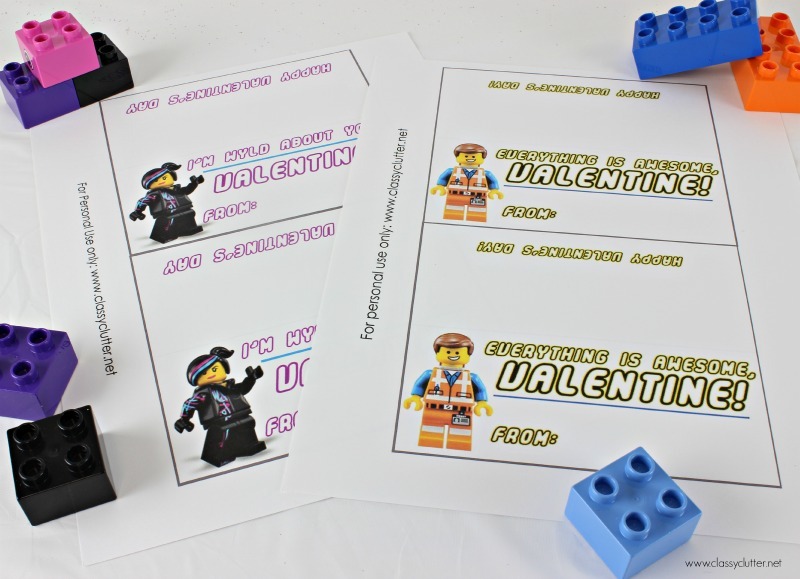 First, download and print your Lego Valentines. 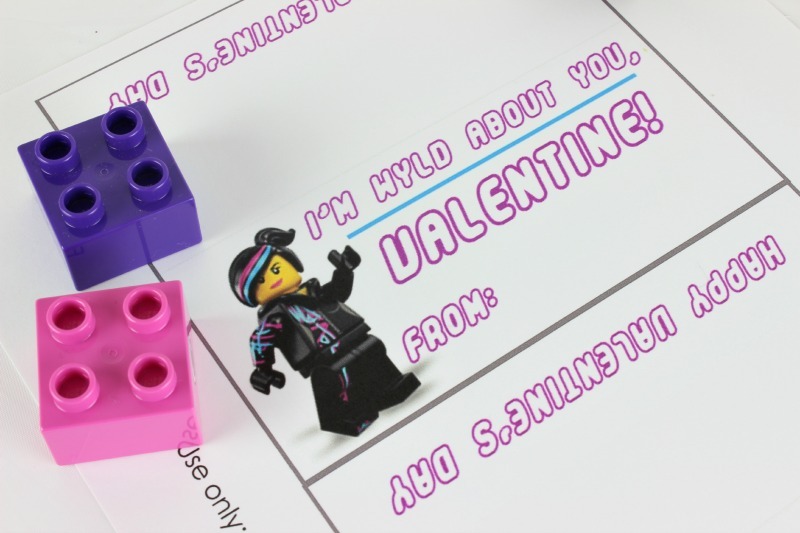 Download Emmet “Everything is Awesome” here and Wyldstyle – “I’m wyld about you” here. 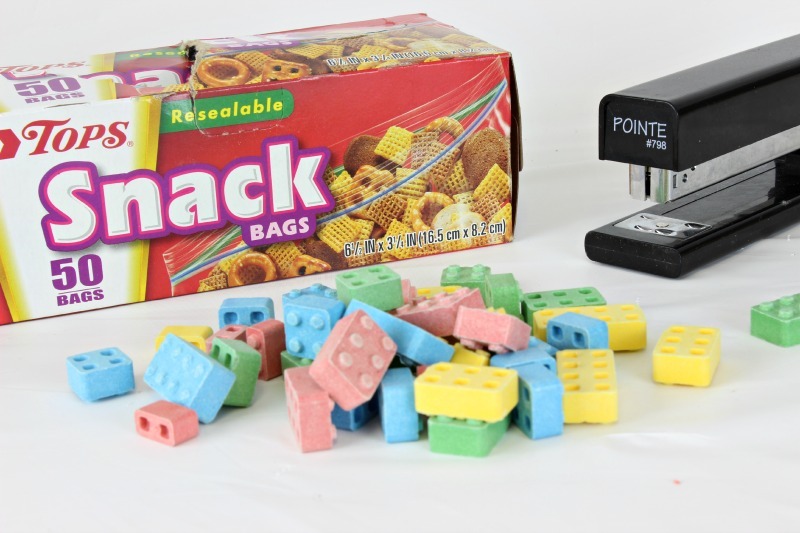 Next, fill your snack size bag with Lego brick candies. Next, cut out the printable and fold it on the super faint grey line. Have your kiddos write their name before you continue to the last step. This will make it a lot easier for them, if they’re little like mine. 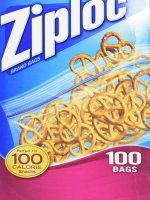 Then, staple over your snack bag that you filled with candy. And done! Easy cool mom points! Hope your littles like this as much as mine did! I’m so excited that Valentine’s Day is coming up! What’s your favorite part of Valentine’s Day!? This truly IS awesome!! 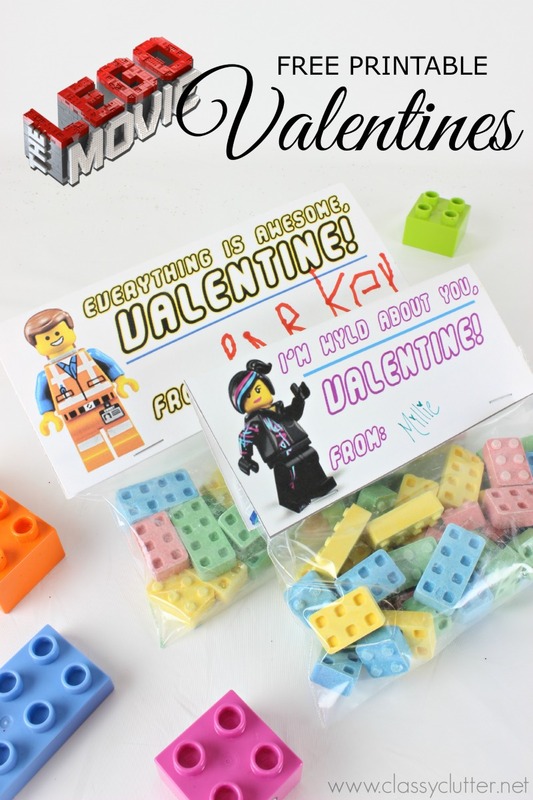 We love The Lego Movie and I really like the idea of giving out something to my son’s 3rd Grade classmates that’s not the typical store-bought stuff. Thank you sooo much! 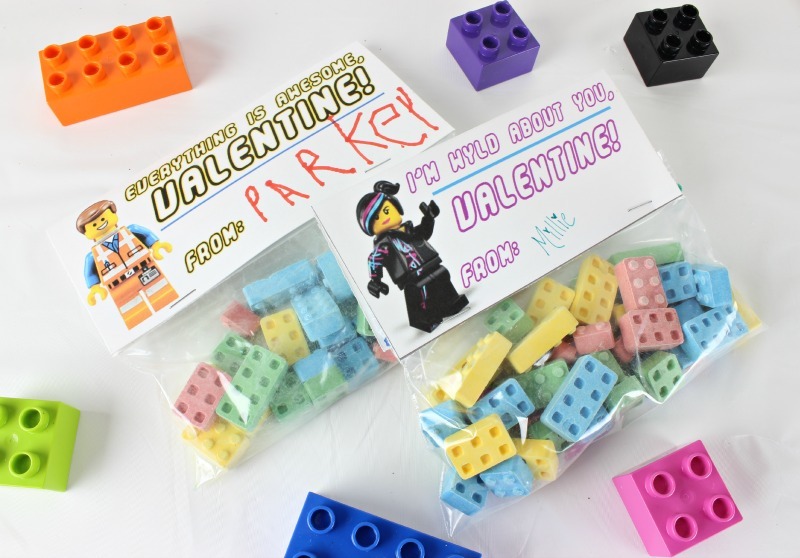 My sons are super excited to pass these out to their class! Also, thanks for the amazon lego block info! I almost bought them for a candy store for $12/pound! YIKES! of my kids clases! 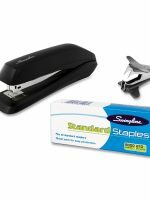 what type of paper / cardstock did you use? Hello…love this idea. I have two kids over here obsessed with lego’s as well. 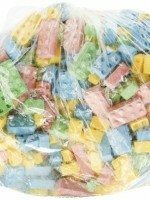 About how many did the 2lb pack of lego candies make? Just trying to get a sense for my kids classrooms. Thank you! Hi Elizabeth! Unfortunately, I am not sure yet! I have only made a few. The kids and I are making the rest this weekend for their classes. And how many…? Would love to order these today 🙂 super cute. Thanks for the great print outs! 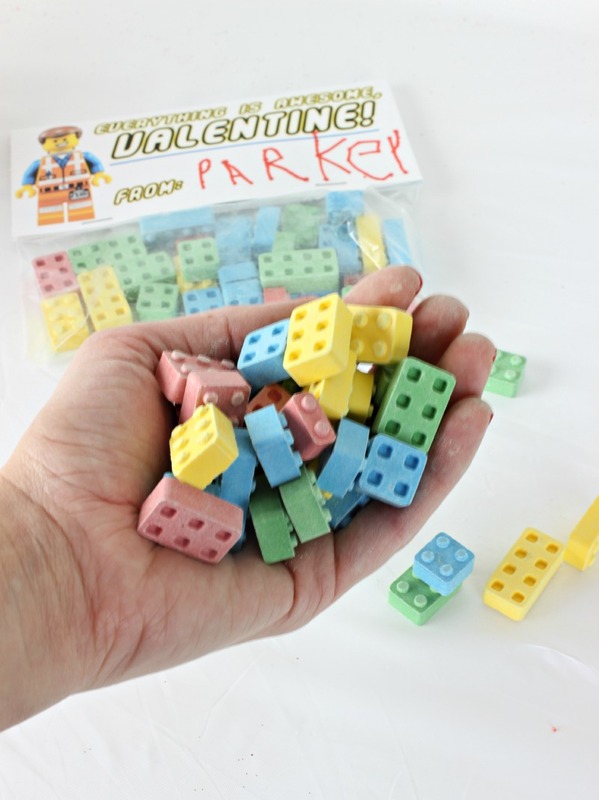 I bought a few lego block and lego figure silicone molds on Amazon and gathered up a bunch of old crayons to make into new lego shaped crayons. The kids are OBSESSED! 🙂 Thank you for sharing! Thank you for sharing these! My kids are excited about them. We made LEGO mini figure crayons to go with them for school.